Every week thousands of researchers from around the world rely on Genohub’s free next-generation sequencing matching engine to explore sequencing solutions that match their project requirements. This typically involves finding out the right amount of capacity (e.g. 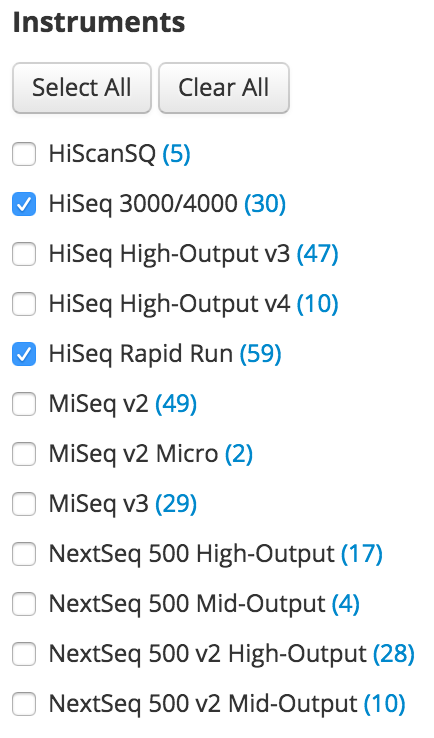 number of sequencing lanes) on different sequencing platforms to meet a coverage or read count requirement for various applications such as DNA-Seq, RNA-Seq, Exome, Amplicon-Seq, etc. You can now view detailed quotes right from the results. This makes it a lot easier to evaluate different options based on additional service details. 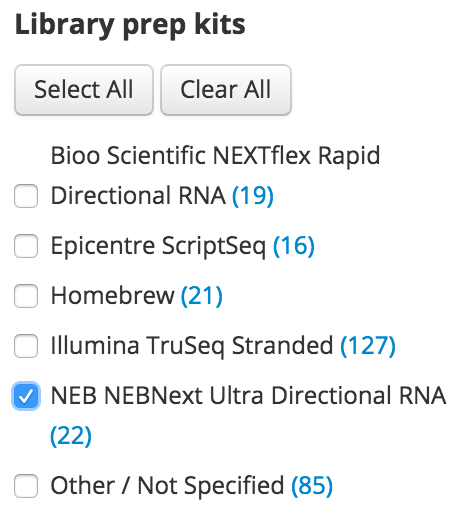 You can now filter the results by instrument or library preparation kit. This helps with situations where for whatever reason (e.g. consistency with a previous sequencing run) you’d like to stick with a particular sequencing instrument. Gene panels such as Qiagen’s amplicon panels, Agilent and Nimblegen’s Target Hybrid capture panels and IDT’s xGEN Lockdown panels. 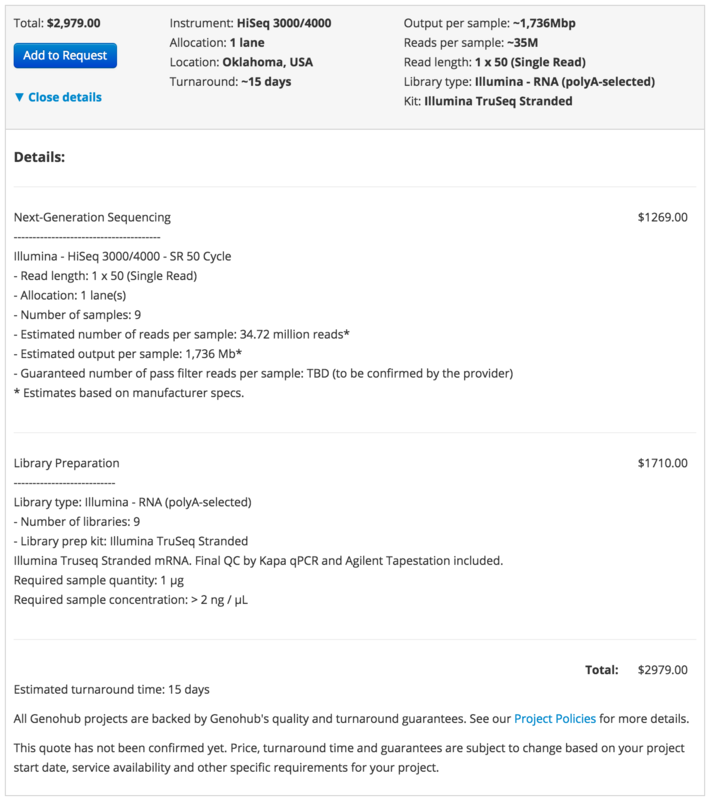 Whether you are just exploring options for a future project, looking to get a few quotes for a grant application, or have an immediate sequencing project with samples ready to ship, there’s no better way to find and order the right NGS services. As always, we’d love to hear your feedback on what you like, and more importantly what else you’d like to see improved. Leave a comment here or email us at support@genohub.com. To use the service visit Genohub.com.